December 13th, 2017. 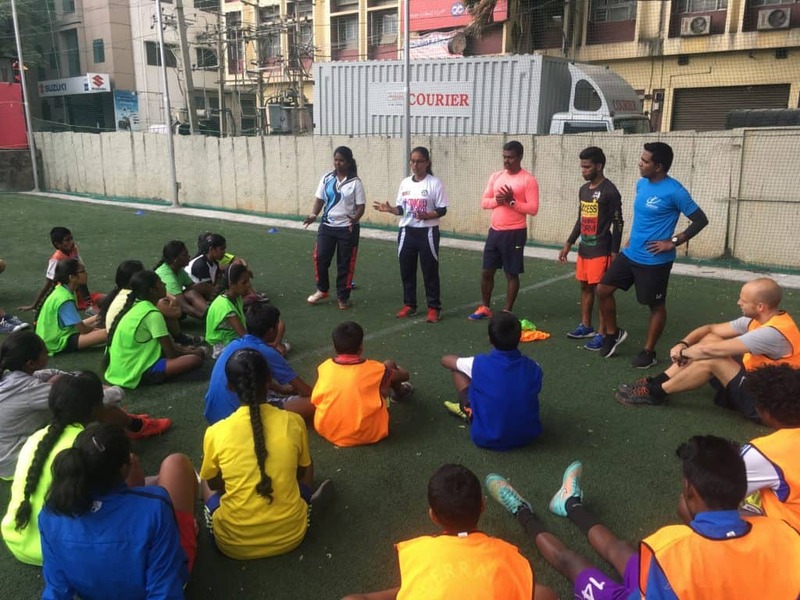 Community Impact Coach, Thilaga, from NAZ Foundation writes about on-field experience working with CAC and partner Parikrma Humanity Foundation in Bangalore, India. Parikrma Humanity Foundation is a non-profit organization located in Bangalore, India. Parikrma addresses the growing gap in urban India between those benefitting from economic liberalization and those who are not, in which consequently only a minority of children in India can afford access to private schools where the content of education is of high quality and in the English medium. Children from slum and rural communities attend schools in the free government-run mass schooling system, where they only teach in the state language, which often proves insufficient in attaining job opportunities in a rapidly globalizing world. Parikrma believes that even the poorest children from the slums of urban India should be able to access the best opportunities in our globalized society and play a positive role in its evolution. The name Parikrma comes from a combination of two Sanskrit words, “pari” meaning circle, and “krma” meaning to complete. Parikrma strives to complete “The Circle of Life” by supporting children from kindergarten until they procure a job, thus ensuring that their students break out of the cycle of poverty. 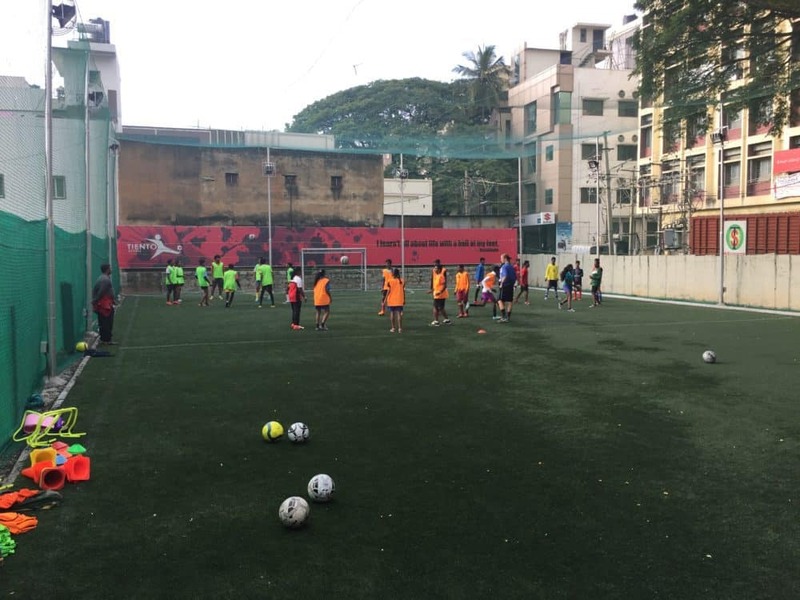 The CAC training for Parikrma was held at Tiento Sports football Arena, from the 27th of November, 2017 to the 1st of December, 2017, where around 45-50 participants from Parikrma attended. 20 were girls. As a CIC I would really like to thank Charlie for giving me the best training, which has changed my coaching type completely to be much more vibrant and active for delivering the sessions with more fun and laughter with the trainees on feild. Thanks to the other two CIC’s Jaspreet and Benny who were very supportive during the training. Thank you Thilaga for this great blog. Short and sweet and very easy to read. I really enjoyed it! I am happy to read that you benefited so much from your CIC experience! Its with great Pleasure to get to know you are doing good.I too am well here in Kenya. Am extremely excited about all that i learned during the Hat Tricks Initiative Clinics we had in Kenya.I attest that the same has helped us coexist and grow as a community. For instant,Late last year when i was requested to volunteer coach and mentor youth in a Town called Meru. near Mt.Kenya.Tell you what?I enjoyed every opportunity there..We did Messi Skill for health and wellness,,Ronaldo Skills,Adebayor uses a Condom Fun games and many more others. I cant wait for exciting new moments with you guys this New Year. Regards to Coach Norah Dooley and Coach Otieno who had us in our 1St ever Hat Trick Course before Macus,Kelly,Turner and Odhiambo came.